SURFDUST Soft Surfboards are constructed with the very latest materials and manufacturing expertise. SLF Soft & Light Foam - High quality durable soft and light foam deck surface called Cross-linked Polyethylene (PE). BBP Backing Barrier Protection 100% waterproof layer called Extruded Polyethylene (XPE), this quality material provides a stronger bond between the layers around the core, deck & rails enhancing board strength and impact absorption. Combined with the SHS and BBP layers are bonded to the High-Density Polyethylene (HDPE) Slick bottom also improves safety in the event of impact absorption, whilst ensuring durability and slick speed. EPS Core - closed-cell foam called High-Density Expanded Polystyrene (EPS) a waterproof, semi rigid, strong, and lightweight, with the additional support of a moulded bamoo stringer provides the extra strength and stiffness through the entire board. SLF combined with SHS Superb Heat Seal (XPE) and/or (EPO) layer - engineered exothermic adhesive foam whilst under pressure and heat creates a chemical and physical bond between the intended layers, providing a secure durable waterproof bond. SHS layer is also wrapped around and heat sealed to the inner BBP Backing Barrier Protection 100% waterproof layer called Extruded Polyethylene (XPE), this quality material provides a stronger bond between the layers around the core, deck, rails & slick surfaces, enhancing board strength and impact absorption. EPS Core - closed-cell foam called High-Density Expanded Polystyrene (EPS) a waterproof, semi rigid, strong, and lightweight, with the additional support of a moulded timber stringer provides the extra strength and stiffness through the entire board. 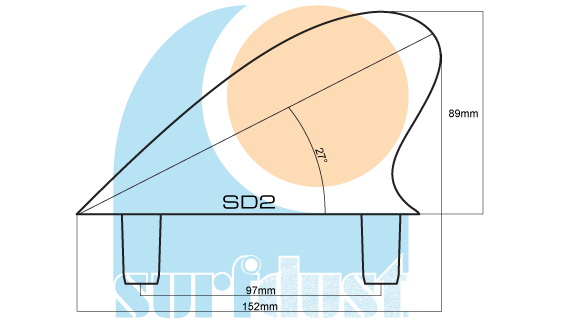 SURFDUST also has available a variety of Soft Surfboard Fin combinations - SD2 Medium Fins and SD4 Large Fins. SD2 fins best performs on the 5ft softboards, otherwise an excellent left and right side fins in all other size SURFDUST softboards, they are lightweight, flexible polyurethane with safety in mind, providing nice drive while offering good release and directional turns. 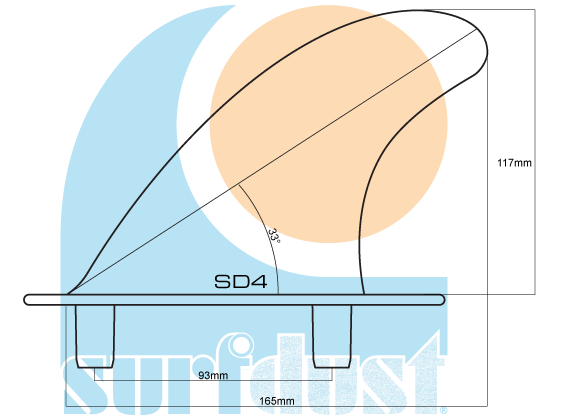 SD4 centre fins best perform in combination with the SD2 side fins on the 5.6ft, 5.8ft and 6.0ft SURFDUST softboards. TheSD2 fins are incredibly flexible lightweight polyurethane providing exceptional drive, while offering quick flex release and fast directional turns. This combination of the SD2 side fins and the SD4 centre fin will enhance the style and performance of the 5.6ft, 5.8ft and 6.0ft SURFDUST softboards in variety of wave conditions.